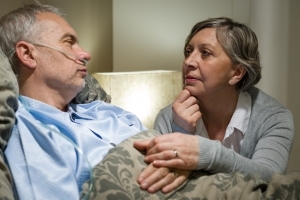 College of DuPage Nursing student Nikola Wisniewska wrote for Healthy Lombard that troke is the 5th leading cause of death in the United States and it can happen to anybody. Every 4 minutes someone dies from stroke and leaves their loved ones behind. (CDC, 2019). It is a scary and awful disease. People who have an increased risk for stroke include the elderly, those who have had a stroke or stroke-like symptoms, and people with a family of stroke history. Health problems that increase the risk of stroke include; high blood pressure, high cholesterol, diabetes, lack of exercise, obesity, and smoking. According to the National Stroke Association, a stroke or a “brain attack” develops when a blood clot blocks an artery, or a blood vessel breaks, cutting off blood flow to an area of the brain. When this occurs, brain cells begin to die causing brain damage. When brain cells die, abilities controlled by that part of the brain are lost. These abilities include speech, memory, and movement. Stroke can range from mild to severe and it can happen at any age. Many people don’t realize they or their loved ones are having a stroke. It can happen right in front of you, without you even realizing it. Stroke is a medical emergency. There are steps that should be taken to reduce your chances of stroke. For example, increasing physical activity, lowering sodium intake, taking medication to lower blood pressure, and sticking to the medication regimen is a great way to lower your risks of having a stroke. How can we identify if we or a loved one is having a stroke? Mnemonic FAST is a great tool to use. FAST stands for face, arms, speech and time. Look at the face. Does one side droop or feels numb? Is one arm hanging lower than the other one and is numb or tingling? How about speech? Are the sentences clear and understandable or slurred and make no sense? If any of these things are happening, call 911 immediately. Time is an important aspect of treatment. The longer you wait, the worse it gets. If you are at risk for stroke talk to your doctor if you have had a stroke you may have questions about what happened and what treatments are available. No one can predict how long it will take to recover from a stroke or how much you will recover. 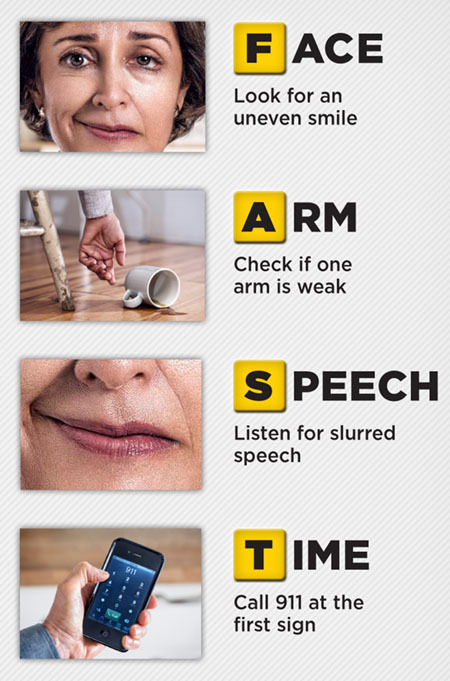 It is important to prevent another stroke. If you have had a stroke, the chances of having another one, increase. So, stay on top of your health and look out for your loved ones. Suhaenih, B., Rabiatul Adawiah Muhammad, A., Rehana, B., Mohammad Khursheed, A.
Sam’an Malik, M., & Shalini, B. (2014). Clinical Scenario and Oral Health Status in Stroke Patient. International Medical Journal, 21(2), 156-159.